Mary Campbell began her marketing career serving the small business community early in the 1990s, when she worked as a director for a luxury Florida homebuilder. She worked in coordination with the Association of Builders and a list of contractors and home installers in what would develop into the digital home marketplace. She then ran her own small business marketing agency, including the steady production of retail-focused marketing catalogs and materials. Mary spent six years in the marketing department for another broadline distributor before joining D&H as director of marketing in 2004, and was named vice president of marketing at D&H in 2008. Mary's experience in the small businesses marketplace honed her instincts regarding the specific needs of the SMB resellers, dealers, integrators, retailers, and etailers that make up D&H Distributing's customer base. 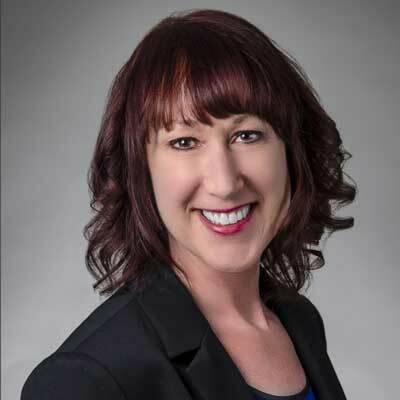 She has been dedicated to creating cost-effective, ongoing marketing strategies and programs ever since, which empower VARs to become technology advisors for their small business clientele. Mary was named one of the "CE Leaders Who Rock" by Dealerscope magazine. She has appeared on the Channel Chiefs list since 2009, and CRN's Power Women of the Channel list since 2010. Mary's department is focused on the development of modern marketing materials and programs, delivering integrated campaigns via digital services and content, online tools, traditional materials, and social media, backed by powerful analytics. Efforts in 2017 included the creation of innovative resources to support sales strategies for: VR and AR solutions for the K-12 marketplace, cyber security offerings, the HPE HERO support program, and enhancements to D&H's web-based Cloud Marketplace. The Partner Services marketing team works directly with individual VARs to help them establish growth strategies, crafting ad materials and integrated efforts for national or local campaigns and lead generation. Mary's team is driving D&H's focus on partner enablement and training, as D&H's technology conference events make the transition from "selling" shows to more educational opportunities; and as D&H offers new streaming media "Solutions Lab" sessions highlighting emerging and trending technologies. D&H also implemented a new, interactive Digital Office exhibit at its trade events. These amenities help develop business for our partners in the channel, starting with our reseller customers and our vendors, and on through to the end user. Objectives will focus on branding and modern marketing. The department is committed to helping customers institute a channel brand, leveraging new tools and digital services to convey their unique value propositions. As a distribution partner, we want to deliver the marketing and business intelligence tools to make our VARs better marketeers and business owners. The department will delve even further into the role of "trusted business advisor" to the channel. For D&H's vendors, the goal is to support their organization with targeted resources, serving the resellers on their behalf and developing their competitive edge. Mary Campbell has been listed as one of CRN's Channel Chiefs since 2009 and has been on the Power Women of the Channel list six times since 2010. Author and speaker Denise Lee Yohn. She is right on the money in her advice on how to build a brand. And if you don't have a brand in this business, you don't have anything. Her expertise is vital for women leaders. I'd tell myself that, yes, pursuing your dreams is the right thing to do. Those dreams will drive you through the toughest times you'll face regarding both career and family. It will supply your direction when you are not sure where to go. Barista. I love coffee and the comforting experience produced by the making of coffee creations. Denise Lee Yohn's "What Great Brands Do." It's a terrific tool to help you examine your own business brand, internal department brand, your clients' brands, and the list goes on. Denise is clear and insightful. She makes the book an easy read, which in turn makes it easy to adapt the approach of creating a brand to fit your own needs, effectively implementing that plan.